To reduce the manual operations of the accountant, the Accounting Report Tool was created. It entirely takes on the functionality of automatic reporting. In this case, the accountants can make a detailed and precise report or build their own reporting schedule. Suitable for any field of activity and allows saving time on the routine preparation of periodic reporting significantly. Accounting Report Tool is designed for the hidden launch, engaged in the automation of routine operations in financial services, as well as providing accounting applications that integrated with accounting standards. Our task was to automate periodic reporting, to make its activities clear and independent. The process of the tool work is quite simple and allows to abandon the manual reporting altogether. 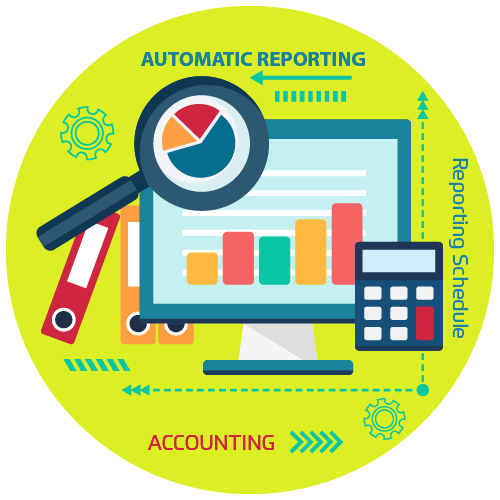 Accounting Report Tool integrates with accounting systems and enables to create individual and standard financial reports. Just create an account in the application and link it to specific folders on Google Drive, where all the generated reports will automatically save. The app integrates perfectly and works equally smartly with all accounting systems and allows making one-time specific settings for the automatic operation of the application. The tool can be adapted to work with any accounting systems fully. The Amoniac team developed the Accounting Report Tool from scratch, having received only instructions from the customer. For the back-end used Sinatra frame, for storing data PostgreSQL and Redis for Background workers. Front-end developed with Bulma.io. Besides, implemented integrations with the electronic accounting systems, Microsoft Office365, Google GSuite, Microsoft PowerBI, Google Drive, SFTP, Sharepoint. The project continues, new combinations are under development.